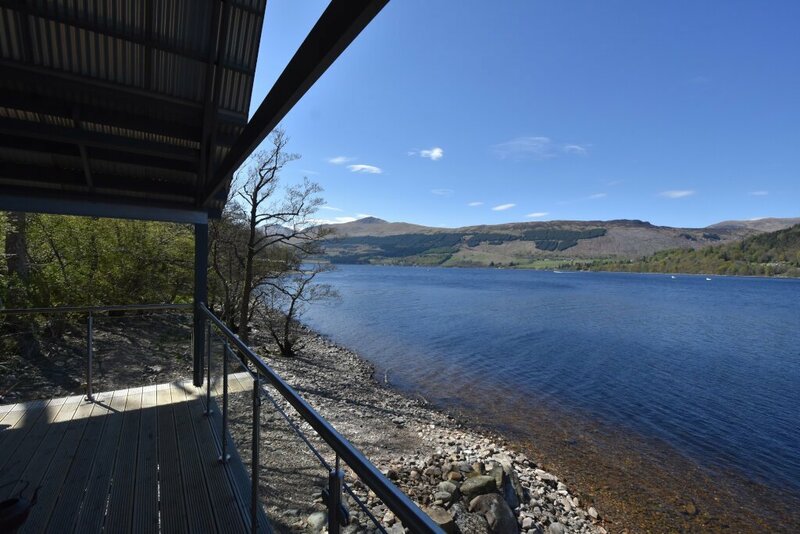 The property also comes with fishing rights for trout from the shore of Loch Tay. 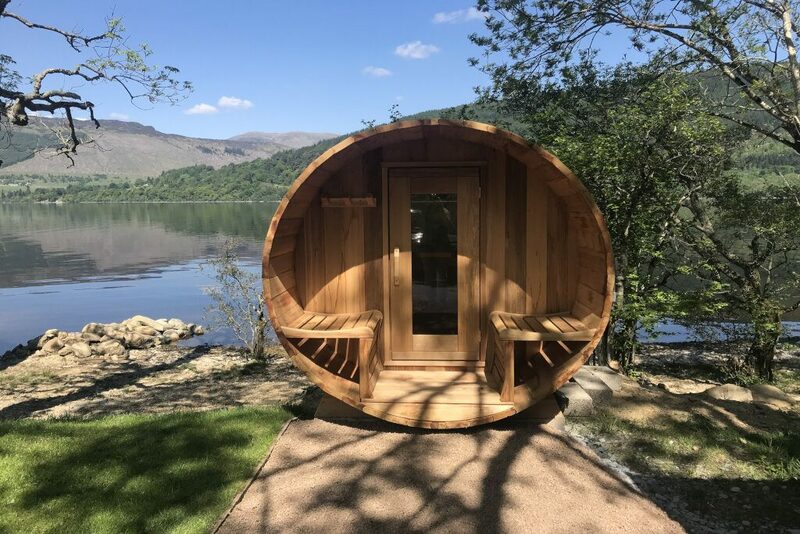 Glass fronted outdoor barrel sauna - new from summer 2018! Sorry, no pets, no smokers, no raucous groups! 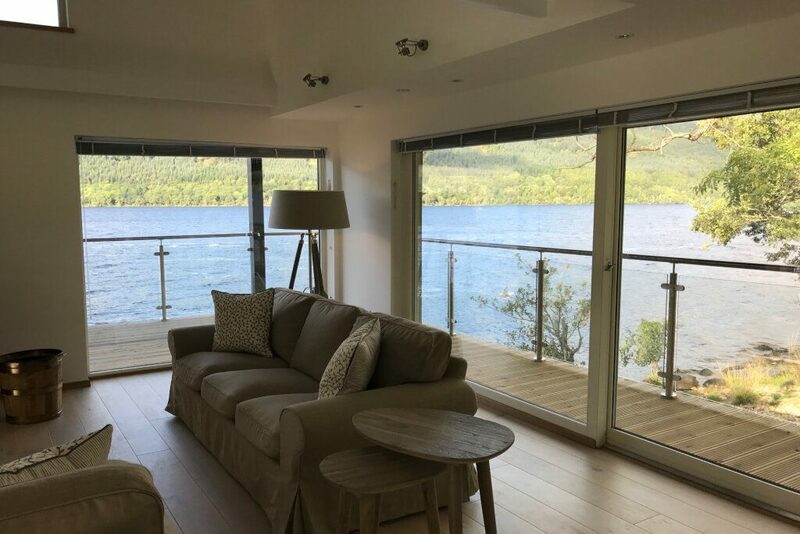 Located on the shores of Loch Tay and only 2 miles from the quaint village of Kenmore the Oyster Lodge is well placed to explore all the landmarks of Loch Tay and beyond. Such an amazing week at Oyster. I couldn’t recommend this house more to anyone wanting to relax and explore Loch Tay. 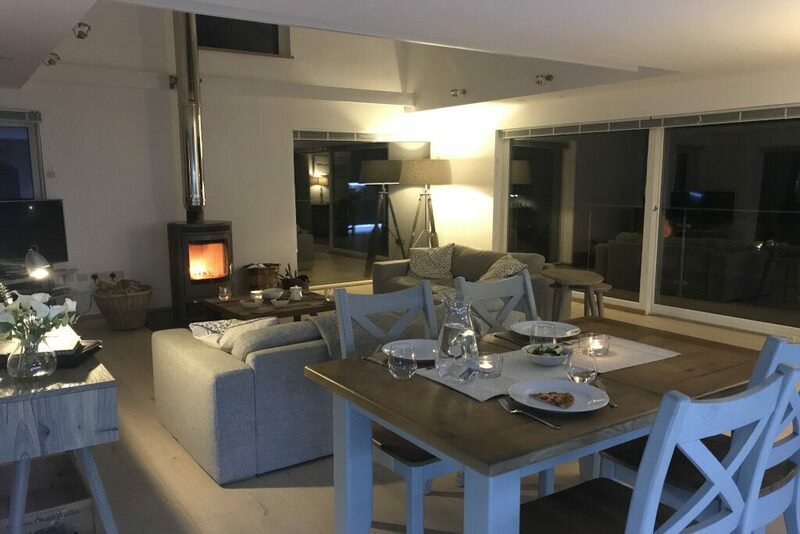 We spent 4 nights here and enjoyed the evening sun coming in the floor to ceiling windows and dinner on the balcony. 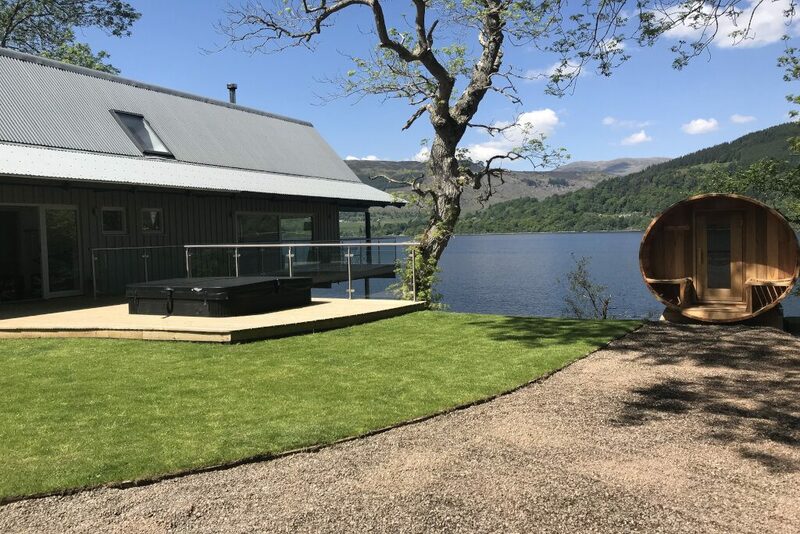 The hot tub added something very special and in such a beautiful location. The pictures don’t do this house justice. 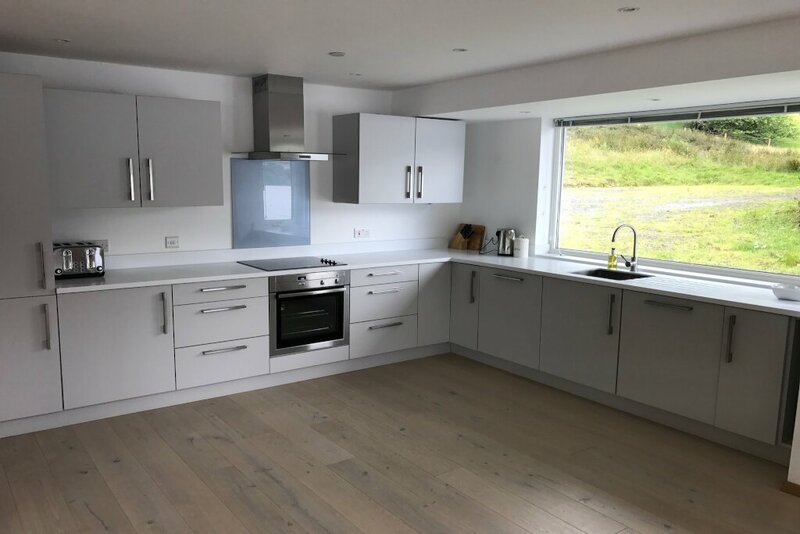 The house is in a very secluded location and has amazing views over the loch with the sun setting just over the hill in front of the property. Thanks again, we will definitely be visiting again. Had a fantastic time at Oyster!!! 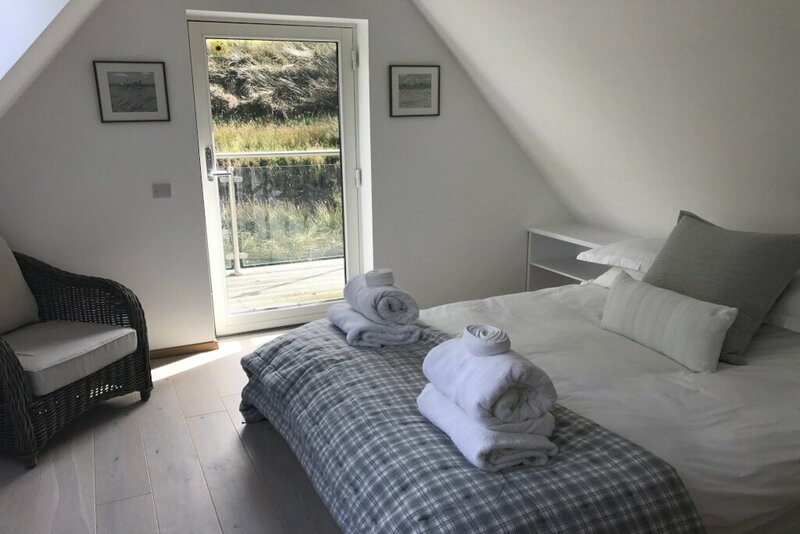 thank you Greg and Nina for creating such a lovely and comfortable place.For those who wants to enjoy the view and stay comfortable in a country side Oyster will be the perfect place to stay at. 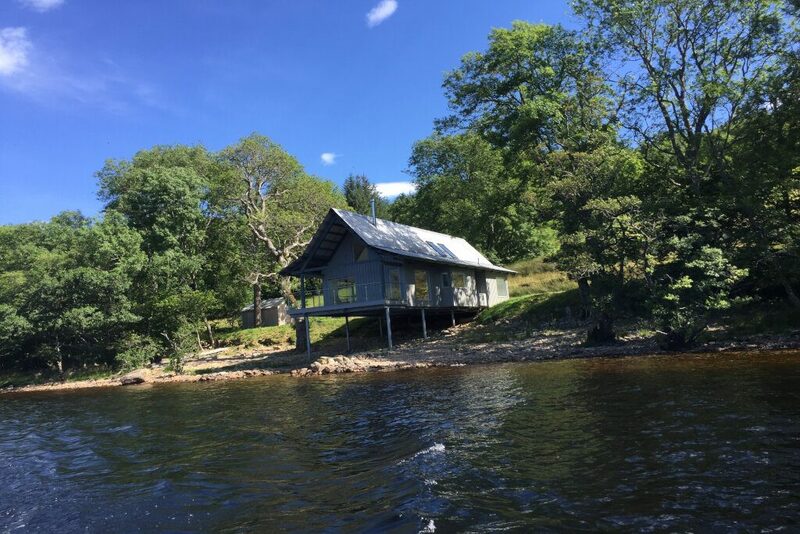 Spent Christmas at this beautiful secluded location with all the amenities you could need. 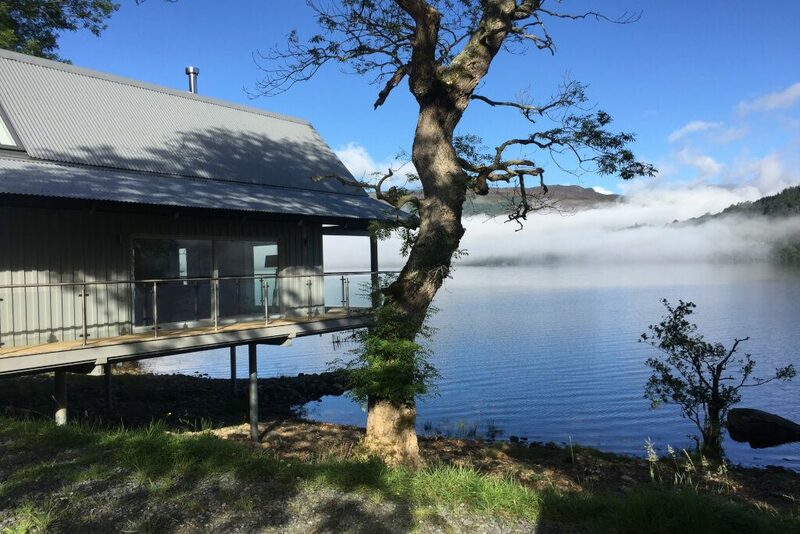 enjoy watching the mist rise at breakfast from the front of the property...Kenmore Hotel worth a 3 mile walk. will definitely be visiting again.